The major problem with new seedstock producers is that they don't have a plan. You need to treat seedstock production as a business. "This has to be a data-driven business. If you don't have the data then you can't successful market in the long run," Schuetze said. Marketing females is no different than marketing bulls. There needs to be planning. This is for a minimum of 3 years. You need to do some soul searching. You need to think outside the box. 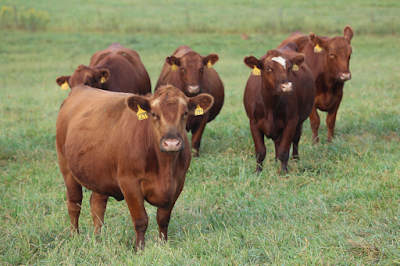 Do all your purebred cows produce females that are good enough for your replacement or for fellow breeders? How many replacement females do you need to maintain herd size? How many females are of quality to market to fellow breeders? How many bulls produced are of the quality to market as herdsires or commercial bulls? First of all, computers are smart. But, they have a problem. You have to tell them what you want! You have to have training data for genetic evaluations. Or, will you split the group in two? Those cows that can producer purebreed cattle and those cows that produce commercial replacement females and market steers. When spliting the group in two, you breed the lower quality cows to a different breed to produce crossbred females that reap the benefits of heterosis. Have to develop heifers properly. Need to be weaned in a low-stress manner. They are developed on high quality forage and grain supplementation. At 14 months or so implement synchronization program. Choose AI sire and then use quality clean up bull for 45 days. Open heifers to be sold to auction. The customer has to be a partner. If he doesn't make money, he won't be back. You have to keep good records. You have to have a good reputation. You have to be able to stand behind your cattle. At Buzzard Hollow, they AI to proven bulls. They turn out AI sire candidates that are two year olds out as clean-up bulls. They get data on these young bulls and find out if they are going to be exceptional AI bulls. Brand recognition and integrity are the two keys to staying in business in the seedstock industry. The customers impression is reset the moment they drive through the gate. Is the gate sagging? Is the grass mowed? Are things in repair? Cattle need to be in excellent condition and ready to be shown at all times. Schuetze used SimAngus cattle to change the perception of his Fleckvieh cattle. Value was added to the Fleckvieh cattle by using Angus bulls. Value was added to the Fleckvieh cattle by using Brahman cattle. 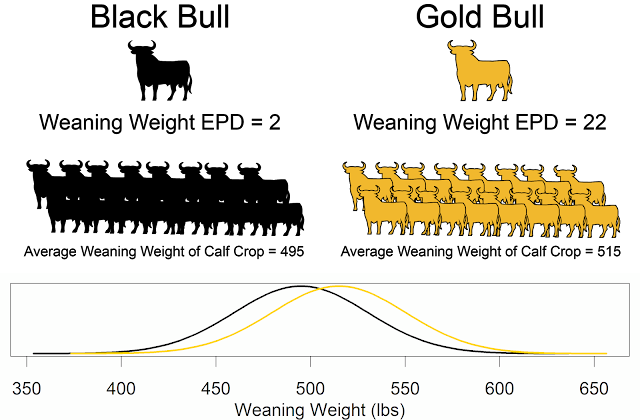 The reputation of the Fleckvieh cattle increased based on their hybrid offspring. "Don't get so narrow minded," Schuetze said. "Be honest with yourself when you are making those management decisions", he continued. Marketing is the name of the business, but you have to have the data to back up the marketing.